It was October of 1998, and my husband and I were taking a trip down to Disney World in Florida. He was giving a presentation at a conference, and I was coming along for the ride—and to see Mickey, of course. While we were at Disney I spent a lot of time running to the restrooms because of my ulcerative colitis (A form of inflammatory bowel disease). Thankfully, I had a book that mapped out each park very nicely. On the buses to and from the hotel, I was often in a blind panic, hoping that I wouldn't need to "go" before we got to our destination. More than once my husband and I had to get off the bus at a different resort so I could use the facilities there. 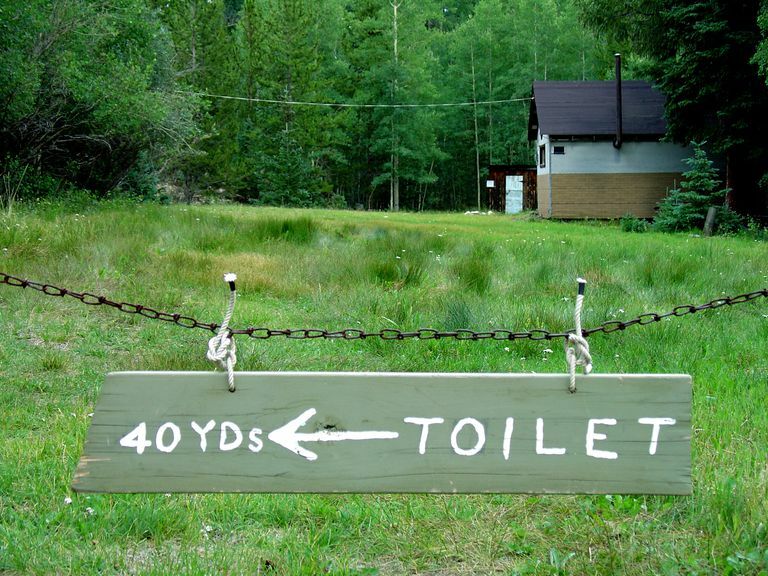 We had some fun, but it was difficult, always wondering where the next restroom was. I worried that I was spoiling the trip for my husband. When we returned home, I made an appointment with a new gastroenterologist. Since it had been too long since my last colonoscopy, he scheduled one right away. I don't remember anything from the actual test (thank goodness). The first thing I remember is the look on my doctor's face when he came back to the recovery area to discuss my results. He looked like he'd seen a ghost, and he told me that my colon was riddled with polyps. It was so bad, he was worried that I already had colon cancer, and he was going to recommend surgery right away. I, in my drugged state, immediately began to weep and asked him if he meant the two-step j-pouch surgery, and he confirmed that he did. He rushed the lab reports, and before I left we discovered that the polyps were not cancerous. Not yet, anyway. They were showing signs of dysplasia, which can be a precursor to cancer. My colon might turn cancerous, and it might not. In either case, it was in bad shape, and I couldn't avoid surgery. I now had some tough choices to make. I didn't want surgery, but it seemed to be the best course of action, as my colon could turn cancerous or perforate at any moment. I had to decide which kind of surgery, and where I was going to have it done. I consulted with two different colorectal surgeons. They had privileges at different hospitals, and they had different opinions about my case. The first surgeon I saw said he could give me a j-pouch in one step because of my young age and my otherwise good health. This sounded very attractive to me, but I was skeptical, as I had read the one step procedure carries more risks of problems such as pouchitis. The second surgeon recommended the two-step procedure. At the age of 25, no one wants to have two surgeries in the space of three months, but I decided to do it. I wanted everything done correctly, and if I had to endure more short-term pain and discomfort in order to have a better life in the future, that sounded like the best course of action. To prepare myself for the temporary ileostomy, I read everything I could get my hands on about the procedure. I met with an ET nurse, and she explained more about how to care for my ileostomy. She checked out my abdomen, we decided where the stoma should be based on my clothing and lifestyle, and she marked it on my belly with indelible ink. She gave me a sample ostomy set-up, so I would be familiar with it. When I got home I stuck it on my abdomen over my "stoma," to see how it would feel. The first surgery was a complete colectomy and creation of the j-pouch and a placement of a temporary loop ileostomy. I spent 5 days in the hospital and came home with a bag full of medications including painkillers, antibiotics, and prednisone. I had a visiting nurse come to my home to help me change my appliance. So, the first three times I changed it I had help. The third time I did it myself and the nurse supervised. Everyone must have done their jobs right because I never had a leak the entire three months I had my ileostomy. It was easier for me to accept the bag because I knew it was only temporary. I found it to actually be more interesting than scary or gross (after 10 years with ulcerative colitis, there was little that could disgust me). The best part about the bag was freedom from the restroom! I could go to the mall and not worry that the nearest bathroom was two floors down, and I could go to a movie and not have to get up in the middle. My mother took me to get a manicure for the first time in my life, and I didn't have to worry about my ulcerative colitis giving me trouble. It was amazing, and if I had to have a bag, that was a small price for me to pay. Even though I was now enjoying my improved quality of life, I still wanted to continue to the next step and get my j-pouch attached. My experience with the ileostomy showed me that it was not depressing and horrible, and I could have a good life if I had to go back to an ileostomy some day. I was scared laying on the gurney, waiting for them to take me into the second surgery. I felt fine, and to subject myself to more pain started to seem silly. My surgery was delayed for a few hours because of an emergency. Thankfully, I was so worn out from the stress I finally fell asleep, and the next thing I knew they were wheeling me into surgery. The nurses were wonderful and made jokes so I wouldn't be so frightened. When I woke up I had another amazing nurse in recovery who got my pain under control right away, and I was sent up to my room. As soon as I was cognizant enough, the first thing I did was to feel my abdomen and check to make sure the bag was gone! I was in considerably less pain than after the first step. It took my bowels two days to wake up. It was a horrible time, I couldn't have anything to eat, and I kept heading into the bathroom and trying to move my bowels, but nothing would come out. I started to become bloated, and depressed and anxious. Finally, after what to me seemed like forever, I was able to use my j-pouch! Before he left that night my husband made sure I got a tray of clear liquids, and the next morning I got solid food. That afternoon I went home. After a year with a j-pouch, I was still doing well. I could eat just about anything I want (within reason), and I almost never have diarrhea. I emptied my pouch about 4-6 times a day, or whenever I'm in the restroom to urinate (with my small bladder that's about every two hours). If I eat something spicy I might experience some burning when I use the restroom, but it's nothing like the hemorrhoids and burning I had with the ulcerative colitis. At times I do have what is called 'explosive' movements, but that's no different than when I had ulcerative colitis. In fact, it's less of a problem now because I can control it, and it's not painful. I haven't had to make a mad dash to the restroom since before my first surgery. In the future, I hope to continue doing things I feared I never would. It's been a long time coming, but I think it's finally my turn to have some happiness and freedom from restrooms. If You Have IBD, Should You Get a Bidet? Are Probiotics the Answer to Your Pouchitis?